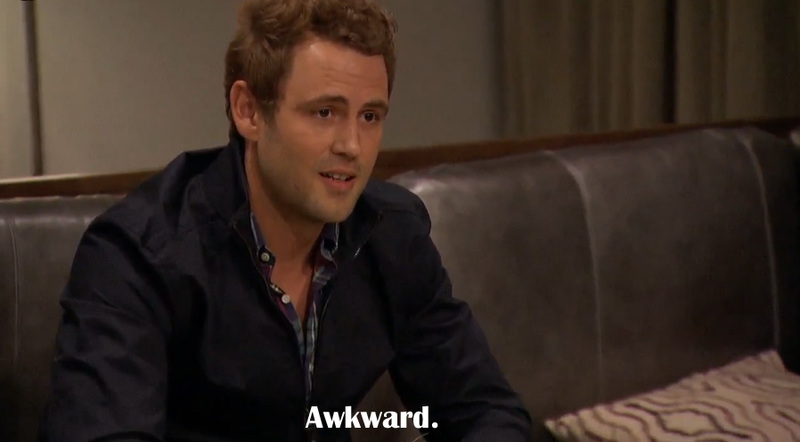 ‘The Bachelorette’ kicks off with Nick finally leaving the elevator and walking in. After a thorough grill, the guys were over it and it was rose ceremony time. This season has been so backward and it is impossible to know what to expect. Even though it interesting, what happened to the recap, date, date, date and then rose ceremony? Nick made it through his first rose ceremony and Shawn made it through along with Cupcake and Ben Squared. All of the J’s are there as well, JJ, Jared, Joshua. Oh and resident celeb correspondent Tanner got a rose as well. If I left anyone out that means I do not know their name and if so, how did they make it this far? Oh Nick, he just couldn’t stay home in Chicago, again. 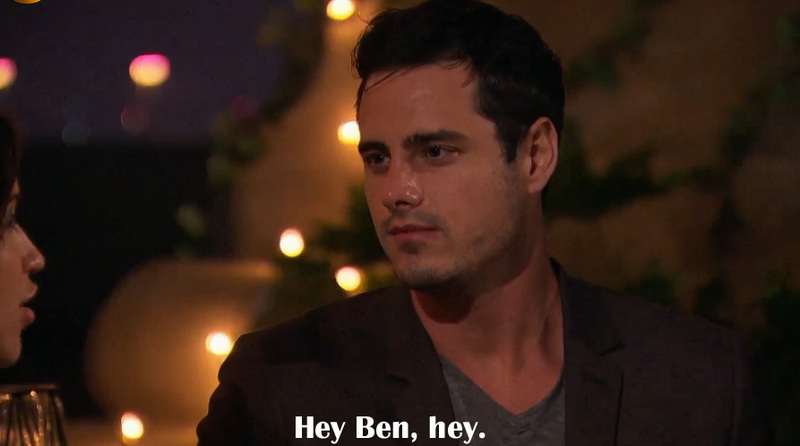 I was not a fan of him on ‘The Bachelorette.’ However, all of the people who say ‘you had your season,’ why does that not apply to the lead as well? As much as I hope Kaitlyn does not choose Nick, she does not have feelings toward him that she should explore and he is the perfect blogging material. I am a Ben H fan, he is my second favorite after Shawn. Unfortunately, I did not pay attention to this date as much, because I was cooking. While avoiding ‘hangriness’ I did get to see them dance. It was refreshing to see that Ben H worries about himself (insert you just worry about yourself video. It is entertaining to see a group of guys in a mariachi band and it is even better when Nick is involved. Ian was the worst, Joshua was awkward and in true Nick fashion, he took it to a new level. Does Nick think of some of these things? Maybe, but for the most part he is filling a villain role. I must admit that the guys handle him a lot better than I originally thought they would, except Joshua. In a funny chain of events, angry Joshua got one-on-one time. Two things occurred during his one-on-one times. First of all, if a person thinks someone may or may not be able to cut hair, go with the latter. His hair looked horrible and later he threw Nick under the bus while sporting bad hair. Joshua thought everyone would have his back about Nick and he could not have been more wrong. Unlike, tabloid savvy Tanner, Joshua is clearly unaware of how to navigate this TV show. Ultimately, Nick got the group date rose and Joshua the welder, looked like the biggest tool in the shed. Have we dropped the ‘B’ yet, since I cannot remember who the other ‘Sean’ was at all? Shawn is the top contender thus far. If viewers watch closely they will notice that he always gets the first hug when Kaitlyn enters a room. There is easiness with Shawn that the others do not have and I can tell how much she likes him by the fact she did not get upset when he talked about Nick. When I spoke with Kaitlyn back in May about the season, I asked what she thought was stronger, an instant connection or a slower and gradual relationship? ‘Slow and steady wins the race,’ said Kaitlyn. While Nick seems more like the instant connection, the relationship appears more lust. 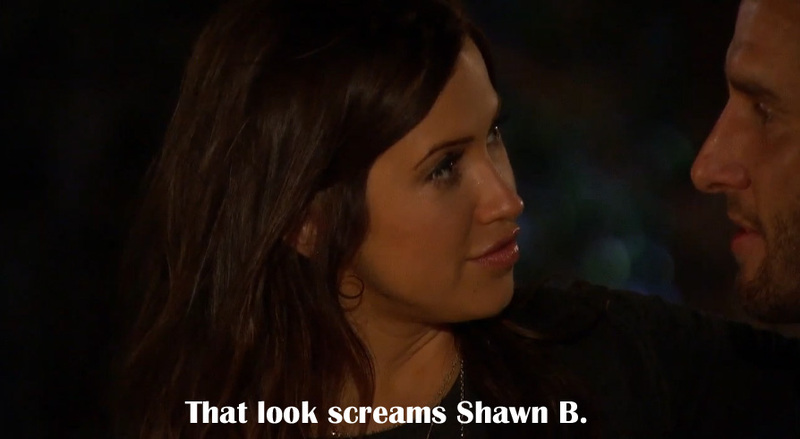 However, Shawn and Kaitlyn seem as if they have a ‘real’ connection. It may seem sudden that he told her he was falling in love, but we are far in the process, even though it does not feel like it. I attribute the process seeming slow to the lack of rose ceremonies. As I said on day one, if Kaitlyn does not choose him, which will surprise me, since she already reciprocated his love, Shawn will be the next ‘Bachelor.’ If you have been following me on Twitter lately, then you know I am all for Ben Squared for the Bachelor(s). Ian was one of my original favorites; therefore, I was extremely disappointed when I saw the last episode. Viewers learned that Ian went to Princeton, gets a lot of girls and has a pretty ex-girlfriend. He told Kaitlyn she was surface-level and that he came for the broken hearted girl at the end of Chris’ season, ‘not the plow your fields girl.’ First of all, that says so much about him that he wants a crushed person that feels embarrassed, lied to and ruined instead of a funny girl. I’m guessing the rest of the guys are there for that Kaitlyn. Unfortunately, we did not get to see the conclusion of the Ian fiasco. It makes me wonder though, how did his ego ever fit inside that mansion? I hope Kaitlyn kicks him out. Way to be the late villain, Ian, way to go and good luck getting a date ever. We have another to be continued episode next week. Why must ABC do this to us, again? Even though, we had one rose ceremony I hope we get those moved back to the end of the show. I need closure at the end of each week’s journey. I can’t wait until next week to see the conclusion of Hurricane Ian. Tweet during the show with me @BachelorExpert, using the hashtag #TheBachelorette.